Problem Tickets are useful to LSU Students, Faculty, and Staff. 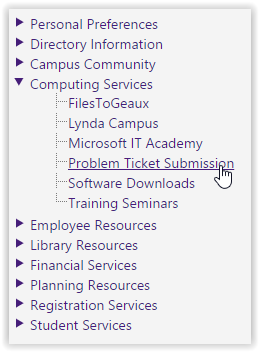 If one is experiencing any problems with computer software, hardware, or any LSU based application, simply submit a Problem Ticket detailing the problem. Shortly after posting a ticket, IT will research the problem and post any solutions. 2. On the left hand side panel, click on Computing Services | Problem Ticket Submissions. 3. Log in with your PAWS ID and password. For details on how to login, see FootPrints: Login. 4. 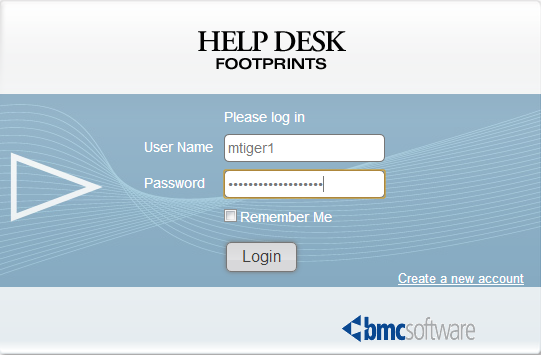 The help desk login page will pop up. 5. You will now be able to write a ticket.